Are you looking for a great way to spruce up any room in your house? Whether you have ceramic tile flooring that you’d like to cover with something more comfortable or wall-to-wall carpeting that could use a burst of color, an area rug is the perfect addition to any room. Visit our flooring showroom to peruse a wide selection of area rugs in Seaside, OR. Our helpful employees are always available to discuss your needs and help you choose the perfect style of rug to suit your tastes. In addition, we offer professional binding services so you can keep your area rugs looking and functioning properly for many years to come. If you’re ordering one or more custom area rugs from our showroom, chances are you may also need rug binding. 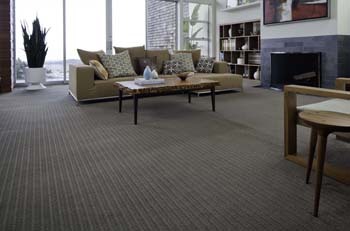 Many people choose to make area rugs out of the remnants of previous wall-to-wall carpet installations. However, these remnants must undergo binding in order to prevent the rug’s fibers from unraveling or becoming frayed. Our binding experts are able to take your carpet remnants or create a custom area rug that will look great for many years. There are many styles, textures, and sizes of area rugs available in our showroom. No matter what size your room is or how much space you want your area rug to cover, we’re able to help you find the ideal choice to suit any space. From vibrant and elegant oriental designs to plush area rugs in a multitude of colors, our flooring showroom carries everything you need to make your home perfectly comfortable and stylish. Visit our location to view area rugs by some of the most trusted manufacturers in the industry including Kaleen and Couristan. Do you have an oddly sized room or space that you want to cover with an area rug, but you just can’t find something with the dimensions you need? Visit our showroom to discuss your needs with our staff, and we’ll create a gorgeous custom area rug that fits your needs exactly. From the style and texture to the precise dimensions of the rug, we take into account all your needs and create a rug that you’ll be proud to display in your home. Reach out to our friendly staff to learn more about our custom area rugs or binding services. Contact us to schedule flooring installation with a skilled professional. We proudly serve clients in Seaside, Astoria, Cannon Beach, and Manzanita, Oregon and surrounding areas, as well as on the Long Beach peninsula.